Since 2009, we’ve always made the attainment of optimal health and well-being the driving force behind our chiropractic care center. 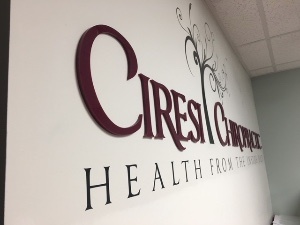 Ciresi Chiropractic takes pride in providing community members with carefully chosen methods of pain intervention and wellness optimization. We’re able to help family members of every age through our customized treatment protocols, with an emphasis on prenatal and pediatric chiropractic. We’re often told that we empower those we serve. It’s been our goal for many years to inspire our patients to take the actions that will help them live a better life, and be participants in their own wellness potential. We believe that health comes from the inside out. We also recognize that the body is a self-healing and self-regulating mechanism, and that our job is to support and encourage that natural process. The most fulfilling aspect of our practice is knowing that we can unlock the unknown potential in every patient that walks through our door. We also emphasize the role that trauma, thoughts and toxins (“The Three T’s”) play in our ability to function and thrive, and how we can overcome their negative influence. Our motto is to always go “above and beyond” when helping to make someone’s life better. This means that you can count on us to go the extra mile when it’s necessary. 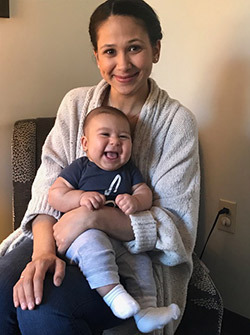 Dr. Ciresi has spent considerable time and effort in earning her certification in the Webster technique, a method that helps moms-to-be have a healthy pregnancy and optimal birth outcome. We cherish our expectant moms and will do everything in our power to help them feel comfortable and fully functional. Ciresi Chiropractic is accommodating and patient-centered, and we’d love to welcome your entire family in to see us! We accept most insurance, including Medicare, and feature on-site X-rays.